The products and services department is focused on the development and sales of products and services, which are based on in-house research and development. Products and services were developed because of the needs and experience identified in engineering projects. The company’s products and services encompass production, supplier supervision, installation and start-up of products in the field, and various service activities. In the area of specialised products for monitoring temperature of overhead transmission and distribution lines the company is one of the leading producers in the international market. The CableCure technology is a is a economically justifiable alternative to replacing MV cables. After the CableCure regeneration, the silicon fluid rapidly diffuses from the strands into the insulation, where it polymerizes with the water in the microvoids and fills them with a dielectric fluid. PowerFill (PowerSet) permanently increases the conductivity of the grounding system (approx. 2x), reaches a stable impendance of the system and lowers the impedance, which results in faster electricity discharge. Cleanliness of pipes, as well as road pits, energy plant areas and modular enclosures, is accomplished by sealing pipes and cables. This prevents water, mud and feces from penetrating into pipes. Furthermore, this also prevents rodents from nesting in pipes and damaging fiber optic cables and any other cables in the pipe. Overhead transmission line monitoring (OTLM) is a system solution for monitoring and rating one’s existing and new overhead lines (OHL) based on real-time monitoring of conductor temperature, load, sag and ambient conditions. Terrestrial Laser Scanning (3D scanning technology) improves the design process, speeds up data collection and reduces errors thereof, helps you save time, money and material and thus makes the process a better and more accurate alternative to the traditional data collection techniques. Ground penetrating radar is a non-destructive method using electromagnetic radiation for the location of utility infrastructure. The GPR is used in case of inaccurate location information about the existing cable-lines, pipe-lines and other underground facilities. 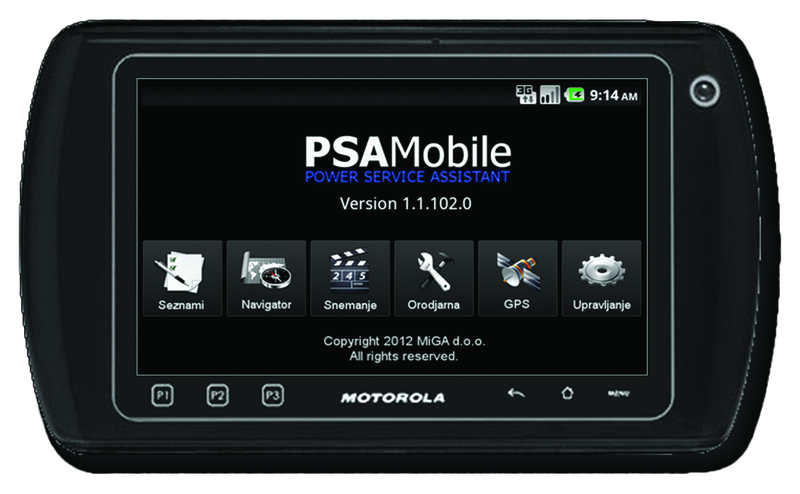 PSA (Power Service Assistant) is a maintenance information software, which supplements the existing paperwork. PSA uses new technological possibilities and offers a convenient and efficient tool as well as the support to preventive maintenance processes and actions, including capturing data. The Lisa system enables the control of transformer substations as well as a network outside transformer substations. It also facilitates supervising of electrical quantities and the quality of electricity in transformer substations (according to standard EN 50160). C & G d.o.o. 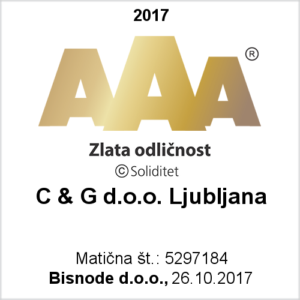 Ljubljana is a leading Slovene company for education and training of installation workers in live working environment. The maintenance department carries out business and technical services for preventive maintenance (inspections, diagnostics, revisions, overhaul and refurbishment of equipment), corrective maintenance and electrical equipment measurements.